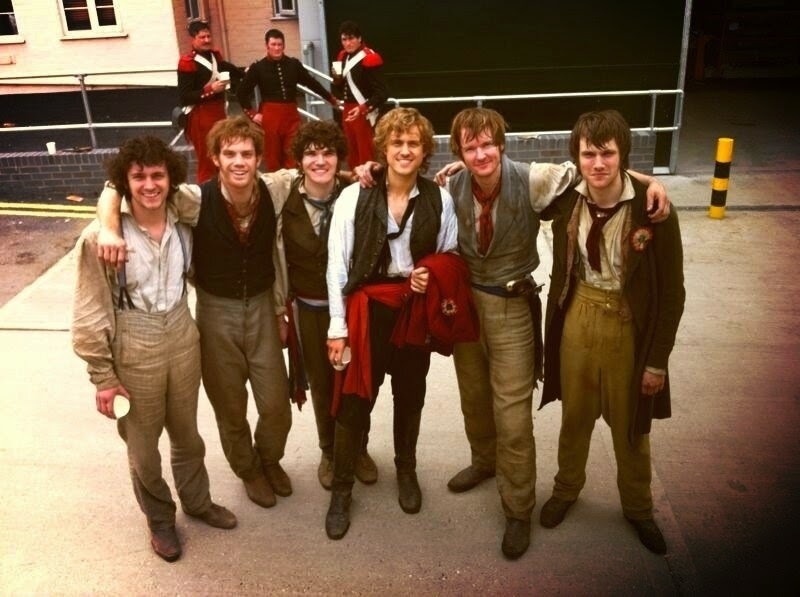 My Castle on a Cloud: THE ONE, THE ONLY, THE BARRICADE BOYS! 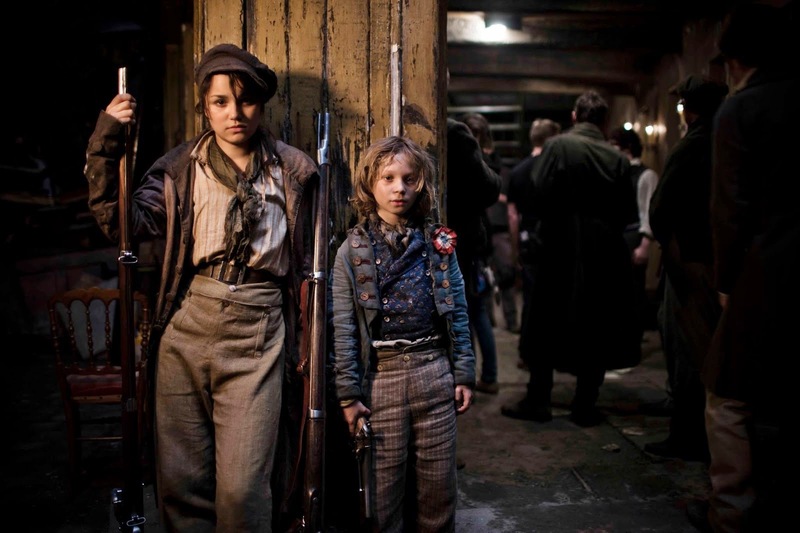 I don't think i'm up to a review on the movie or book of Les Mis, but i thought that i could do a post on the barricade boys.I'll only list the ones i know most about. My fav is Gav...he's so cool cos he's cute, spunky, funny and really brave.I thinks its really sweet how they show him in the movie crying at 'ponines death,cos its sad *and* she's his sister.And kind of *too* brave just before his own death.sob, sob. 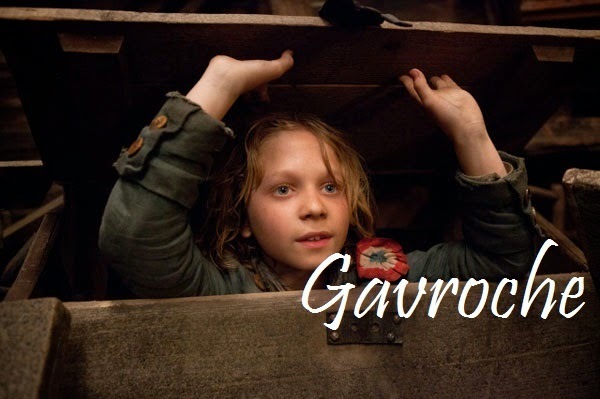 He is definitly my favorite boy in the whole movie.Three cheers for Gav! You don't see much of 'ferre in the movie, but he's a pretty big character in the book.He's Marius' best friend and Marius lives with him for a while at 2 different points.He's a really nice guy and is really compassionate towards others as you kind of see when he yells at the dumb soldier for shooting the old lady during 'DYHTPS'. Also when he comforts Courfeyrac after Gavroches death.This guy HAS to be second best. Another kind and caring guy.In the movie he's good friends with Gav and is..well just really cool. It's really sweet the way that he crys at Gavroches death.Third place. There's not much to say about this guy except...he's just naturally cool! Also he's really sweet with Cosette, nice with Gavroche and respectful with Jean Valjean.Coming in at 4th place. I'm sorry to say that I'm not a huge fan of this guy.gulp. (ducks the flying tomatos and flower-pots). He's just so stern all the time and that does'nt make him very likeable. I don't exceptionally like this guy cos of his addiction to bottles, but i do feel sorry for him cos he has no-one and nothing in the world. It was pretty cool though, how he stood with Enjo when they both died. I hope you enjoy this post. I've added some pics to keep everyone happy. 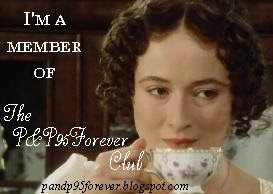 Sorry but i made a little mistake.I said that Marius lives with Combeferre but he actually lives with Courfeyrac.